It’s October, and you’ve already booked a hut week in the Monashees, a yurt trip in the Sawtooths or a weekend in the Wasatch. But how will you know what conditions will be like at, say, the end of February? 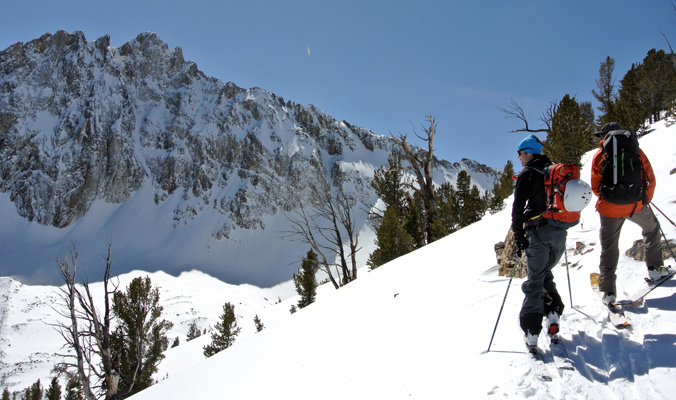 And, more importantly, how can you be familiar with the snowpack and deal with avalanche conditions when you arrive in an unfamiliar backcountry zone? Jesse Williams is an internationally certified guide who splits his winters between the Adirondacks, Rockies, Tetons and Alaska, and he says that preparing for conditions in new zones is integral in a ski guide’s training. “Each of the courses and exams is in a different region with a different snowpack,” he says. 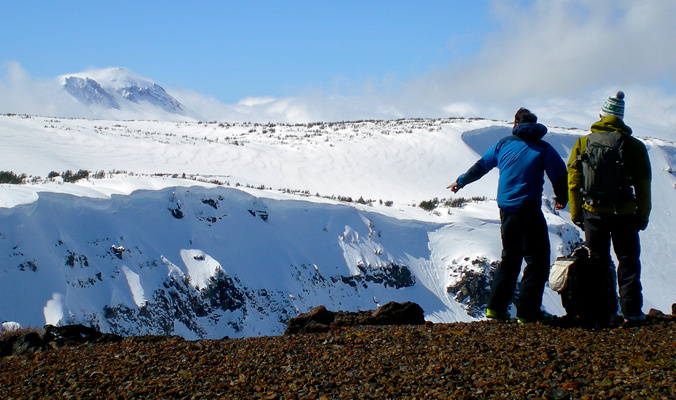 “The process is something guides are practiced at.” Here’s how to act like a guide when traveling to a new snowpack. “Avalanche conditions are a product of a season of snowfall,” says Donny Roth, a guide who spends his North American winters in Crested Butte, Colo. and South American winters in Chile. “Understanding the dynamics of what’s happened throughout the winter will give you a much better sense of what kind of mindset you should be in when you go somewhere.” To get to know a snowpack, Roth suggests regularly visiting local avalanche forecast websites for a few months leading up to a trip. Bottom Line: All season long, use forecasting sites and avalanche centers to keep tabs on the snowfall and avalanche conditions in the region to which you’re traveling. Avoid ski resort snow totals, and if you’re traveling to a location without a forecast center, try reaching out to a local guide service for snowpack beta. Bottom Line: Before a trip, write down some notes based on forecasts and weather observations. Include trends you’ve noticed and what you expect of conditions—where are the weak layers in the snowpack, on what aspects and at what elevations? What other hazards should you be looking out for and what terrain should you avoid? Bring these notes with you. “If I’m guiding, I will generally get out a day early, and I’ll at least go with a friend. I’ll go out, dig pits, look at the snow and give myself time,” Williams says. 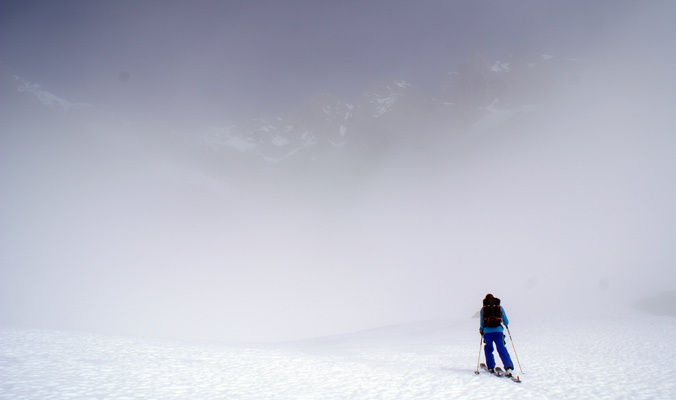 Skiing lift-accessed backcountry terrain can be a good way to scope conditions, though safe snow isn’t a given, nor does heavily trafficked sidecountry snow necessarily represent that of more remote backcountry. In South America or other locations where avalanche forecasts aren’t widely available, Roth says it’s important to be flexible and conservative. “No matter how many resources you have available, go in with an open mind and a lot of questions,” he advises. “Gather observations, gather data and use it to confirm or edit whatever theories you formed.” He suggests setting aside time every day to check out the snowpack and notes that many observations are better than one really thorough snow pit. Bottom Line: Use your on-snow assessment skills to gather observations and data such as snow depths, layers and loading and compare that to the information you assembled prior to the trip. Start with conservative objectives and have back-up options if conditions are dangerous or worse than expected. For a multi-day hut trip into new terrain, hire a guide for one day—many outfits require this and single-day rates tend to be fairly affordable. Jesse Williams is an internationally licensed IFMGA rock, alpine and ski mountaineering guide, and he’s co-owner of Cloudsplitter Mountain Guides. Donny Roth is an AMGA-certified ski mountaineering guide and owner of Chile Powder Adventures. He’s spent the last 11 seasons in South America. This story first appeared in the October 2014 issue. To subscribe, click here.